A young lady at the controls of a powerful radio transmitter, leaning over a smoldering soldering iron, climbing a tower, or designing the next generation of electronic circuitry is becoming increasingly common place. Our abilities as skilled radio operators and technicians has been proven in industry, law enforcement, space exploration, and in the hardships of war. As the ladies of amateur radio, we share many facets of our hobby with male hams. However girls, as we already know....things are often improved with a ladies touch. S.O.A.R. 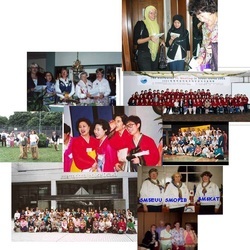 meetings, special event stations, contests, and on air networks, workshops, luncheons, and other activities are designed to enhance the amateur radio experience for women. Emphasis is placed on community service, social interaction, and technical advancement......all from a ladies perspective. YL's worldwide share a special bond....one of "sisterhood." Not only do YL's gather on the air, but they also join each other at conventions, retreats, expositions, and special events all over the planet. Every two years....at a different international location....YL Worldwide convenes as we celebrate our sisterhood in amateur radio. Take your ham radio experience to new heights. 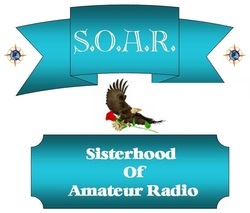 Spread your wings and join the ladies of S.O.A.R. The Sisterhood Of Amateur Radio has named Judy Carpenter KC7ZVE as the recipient of their 2018 Legacy Award. KC7ZVE was honored with the award during SOARS annual Holiday Luncheon for members and guests held December 15th in Henderson, Nevada. Judy is a founding member of the organization and has served as Vice-President of the Las Vegas Chapter since it's inception. She has been instrumental in the development and implementation of much of the programs, activities, and events of the SOAR organization. While not as well known as the Doughnut Girls of World War I fame, Las Vegas has their own version of the heroine's of the greasy pastry, in the form of the Sisterhood Of Amateur Radio. ​The ladies of SOAR are known to periodically treat the attendees of the monthly amateur radio swap meet with fresh doughnuts. This past Saturday was such an occasion. On what was the coldest Saturday morning of the year, swap meet goer's got a bit of a reprieve from the biting cold courtesy of the gallons of piping hot coffee and the warm doughnuts provided by SOAR. 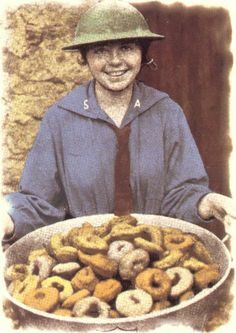 ​Known as Doughnut Girls, Doughnut Lassies, or Doughnut Sweethearts the original providers of hot coffee and doughnuts were Salvation Army volunteers serving on the front lines in France during World War I. ​The first Doughnut Girl was Huntington, Indiana native Helen Purviance , an Ensign in the Salvation Army, who along with Ensign Margaret Sheldon hand pounded strips of dough and fried the first batch of seven doughnuts atop a pot bellied stove. Early accounts tell a tale of the two Salvation Army ladies using a steel helmet as their first cooking utensil. Purviance. who retired as a Lt. Colonel in the Salvation Army has discounted that story as incorrect. She relates that she actually had a small frying pan but no other utensils. Ensigns Purviance and Sheldon were praying that this tiny touch of home might help to ease a different kind of pain than hunger. Despite working extremely long days, the first Doughnut Girls could only produce 150 doughnuts per day. They began to improvise, first using a wine bottle as a rolling pin and later finding an elderly blacksmith to make dough cutters from discarded cans and lids. ​During World War II the Red Cross also got into the doughnut game with their own Doughnut Dollies and Clubmobiles, special buses rigged up to make and serve doughnuts. The Red Cross required the Clubmobile volunteers to be between the ages of twenty-five and thirty-five, have some college education and work experience, and to be “healthy, physically hardy, sociable and attractive. ​Unlike their WWI Salvation Army predecessors who served in the front line trenches, the Red Cross ladies of the 2nd World War were stationed in towns near military bases and would travel to a different base each day. ​While there were no bombs bursting overhead this past Saturday, the hot coffee and doughnuts provided by the Sisterhood Of Amateur Radio did warm the spirits of the swap meet attendees. Perhaps they should now be known as the "Doughnut Darlings". The popular Amateur Radio Communications Vehicle Rodeo returns once again this year. 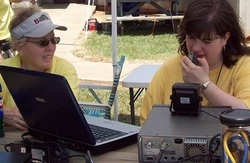 ​The event, which is modeled after similar events held by government emergency responders, has proven to be a popular venue for ARES/RACES, MARS, SATERN, Skywarn, and other amateur radio groups and individuals to show off their mobile set-ups, Go-kits, NVIS antennas, and other systems of value for use during disaster and emergency situations. ​Hosted at the QTH of Frank N7ZEV and Linda KC7IIT Kostelac, 4233 W. Warm Springs Rd. in Las Vegas, beginning at 9:00 AM on March 10th. ​Parking and guest services will be provided by the Sisterhood Of Amateur Radio (SOAR). ​Anyone with an interest in amateur radio, emergency communications, or disaster response may participate as either an exhibitor or as a spectator. The Sisterhood of Amateur Radio (SOAR), in conjunction with the Girl Scout Council (GS) of Southern Nevada hosted a “Radio and Wireless Tech Field Day” on February 3, 2018 in Las Vegas, NV. Over 60 girls and their adult chaperones participated in the event held at the GS Council Facility during a 5-hour period. 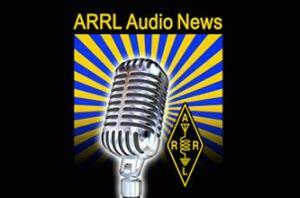 The American Radio Relay League (ARRL) has developed a special Radio and Wireless Technology Patch Program for Girl Scouts. The Radio and Wireless Technology Patch Program will inspire girls to learn fundamentals of radio communication and wireless technology and to take action in their communities to apply communications to connect people, provide safety, and explore related careers. Girl Scouts had the opportunity to learn about Amateur Radio and do hands-on activities with Amateur Radio. They also learned about emergency and public service communications, and explored ways wireless technologies are used in everyday life and in the workplace. Highlights of the event were spelling out their name in Morse Code and hearing it via a code practice oscillator, learning about antenna directivity and participating in a T-Hunt, and actually talking on the radio third party via HF, UHF/VHF and through “modern” means such as EchoLink. Todd Wilson, WH6DWF, coordinated the *ISLANDS* Conference Server, IRLP 9256, the StarLink System Hub 357087, and DODROPIN 355800 to serve as a demonstration of ECHOLINK, IRLP and AllStar for check-ins in order to display amateur radio using a tablet or a smart phone in addition to traditional radio equipment. Wilson took “net control” and was able to coordinate the links for an orderly demonstration of the system. Through his efforts, operators from Saudi Araba, United Kingdom, Maritime and 18-wheel Mobile as well as many states, (e.g., HI, NY, FL, OR, and WA) had short QSO’s with the girls. The Nevada Section Manager, John Bigley, N7UR, spoke to those connected via EchoLink stating, “The Nevada Section sincerely appreciates the contribution of all the participants who took time out of their day to speak to the girls to demonstrate these young girls what amateur radio can do to connect people around the world.” Bigley went on to express his sincere appreciation of the ARRL Pacific Division’s support demonstrating that the amateur radio community is supportive of each other to ensure success and longevity of the hobby. This past Saturday the Sisterhood Of Amateur Radio decorated a vehicle and marched in the Boulder City Chamber of Commerce's "Santa's Electric Night Parade". This is the second year that the group represented amateur radio in the parade. The club featured photographs on their vehicle of famous women past and present who are ham radio operators. Last year the group kicked off their celebration of the ARRL Centennial year by marching in the parade dressed as women operators from the different era's of the ARRL's existence. As part of a full day of amateur radio activities, on December 6th, members of the Sisterhood Of Amateur Radio climbed aboard the Nevada Southern Railway in Boulder City and operated "Railroad Mobile". While in town to participate in the Santa's Electric Night Parade, the SOAR ladies took a break from decorating their parade entry to ride the rails with Santa and Mrs. Clause on the NSR Santa Train. Of course they brought along their portable radios to work contacts via Echolink and IRLP.